NEW DELHI — The Indian government plans to ban foreigners, single parents and gay couples from using India's surrogacy services under a proposed law intended to protect poor women from exploitation. Only infertile couples who have been married for at least five years could seek a surrogate, who must be a close relative, Foreign Minister Sushma Swaraj said Wednesday. "There will be a complete ban on commercial surrogacy. Childless couples, who are medically unfit to have children, can take help from a close relative, in what is an altruistic surrogacy," Swaraj said at a news conference in New Delhi. The bill does not say which relatives are close enough to be considered as potential surrogates. The proposed law will soon be introduced in Parliament, where the governing Hindu nationalist Bharatiya Janata Party commands a majority in the lower house. Gay couples, single parents and foreigners would not be allowed to hire Indian women as surrogates under the proposed law, which would have to be passed by both houses of parliament to become law. 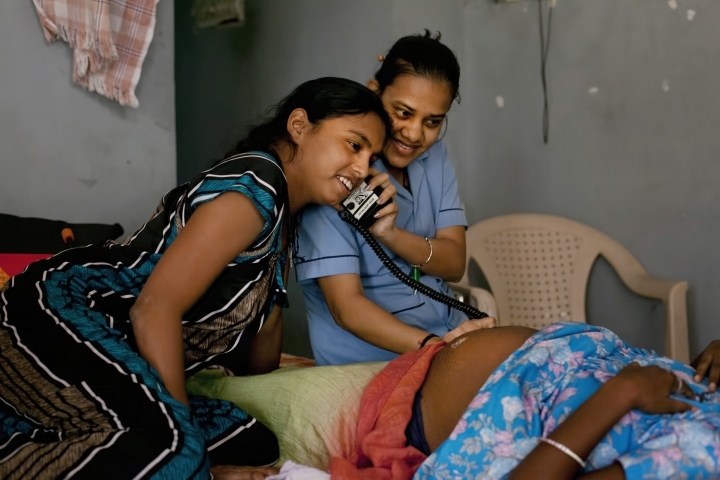 Over the past few years, India has become a popular destination for people wanting to have children using surrogate mothers, partly because its doctors and clinics broker the service at relatively low cost. But many of the women are paid a pittance of the money that is paid to clinics by anxious couples yearning to have a child. Swaraj cited past cases where a couple took home one child from a twin birth or a couple left a disabled baby with the surrogate. "The law would stop such unethical practices," Swaraj said. In 2001, India legalized commercial surrogacy, in which a surrogate mother can carry another's genetic child through a process of in-vitro fertilization (IVF) and embryo transfer for a payment. Although there are no official figures available, a 2012 U.N. report counted around 3,000 fertility clinics in India. India's surrogacy business was estimated at around $1 billion a year and growing, but it had few regulations governing it. In November, the government had instructed Indian embassies not to grant visas to foreigners who planned to come to India to engage a surrogate mother. The home ministry said a child born through surrogacy to foreigners would not be allowed to leave the country.